Vitamix Professional Series 750 – Just VitAmazing Best Smoothie Maker! | Best Smoothie Maker - Choose the Best and Save! Best Smoothie Maker – Choose the Best and Save! 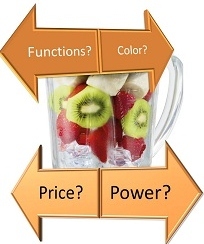 Find out how to choose the best smoothie maker! Vitamix Professional Series 750 – Just VitAmazing Best Smoothie Maker! "Waring PBB2 Professional Bar Blender"
I like to make smoothie and choose the best smoothie makers! 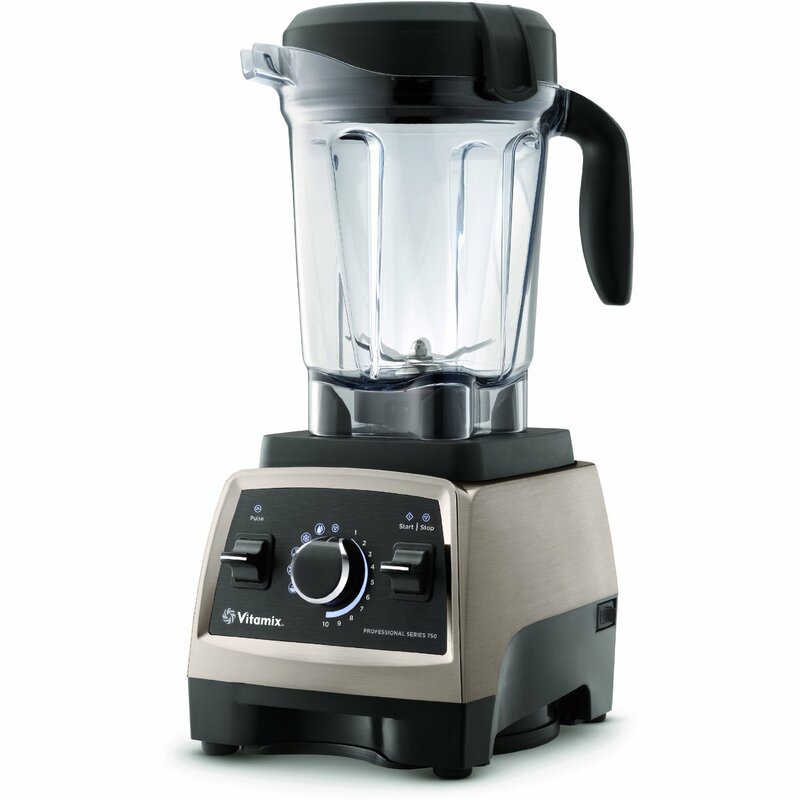 Vitamix Professional Series 750 with 64 oz container – a perfect blender from the Next Generation of smoothie makers. Presets, wider compact container, longer blades, improved motor, a fan that runs at all speeds not just when on high, and much more! Both durable and aesthetically pleasing this blender is for those who want perfect and best in class machine. What you can do with Vitamix Pro 750. You can cook smoothies, drinks, hot soups and sauces from cold ingredients and whip up ice cream, sorbet and frozen drinks in seconds. 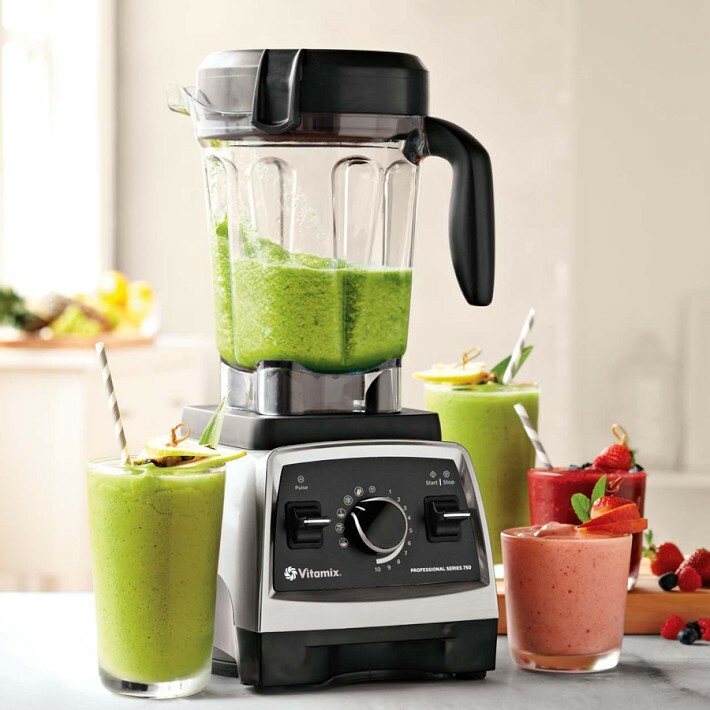 Who would benefit most from Vitamix Pro 750? This is not an "average" machine and everyone may not appreciate the features it offers. But if you prefer automation, speed and durability you will definitely love this blender. Convinient presets for cooking and cleaning. Slightly quieter than similar powerful blenders in the market - measured 86 dBA at its highest speed. Presets - Primary Feature of Vitamix Professional 750. Presets allow you to select a program, turn it on, and then the blender will automatically adjust the speed and then shut off after a certain amount of time. The presets are "set it and forget it". You can also use manual control if you like. This machine has 5 presets: smoothies, frozen desserts, purees, hot soups, and self-washing. Wider and shorter 64 oz. blending container/jar. Additional Features of Vitamix Pro 750. • DVD demonstrating many recipes using the Vitamix. Best Smoothie Maker Editors Recommendations. Definitely recommended for those who can afford it. But even you are still "on the fence", remember, that this machine will pay for itself by saving you the cost, time and inconvenience of buying green drinks and smoothies.